Use TB2TZ9X to reference this item. I am very attached. I travel with my owner and only him. I leave my mark where I go, I stay little, then be on my way. 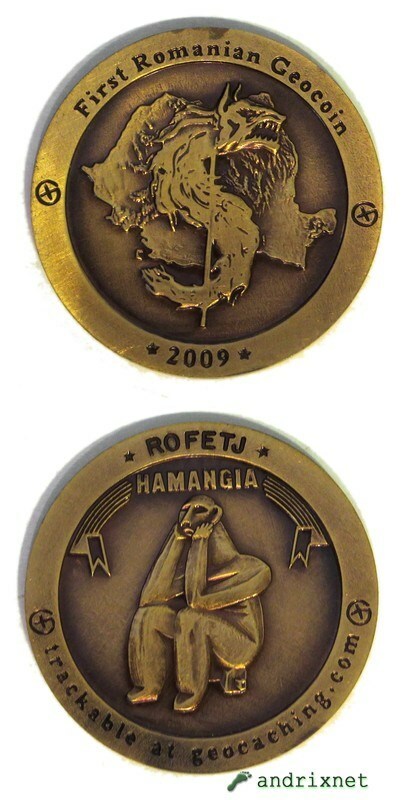 Of the first edition of the Romanian Geocoin, this item travels with me, visit caches, meet fellow cachers at events, but it is not for trade.